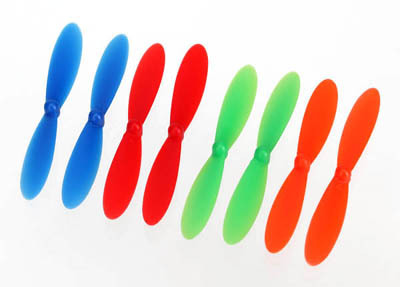 Traxxas Rotor Blades for QR-1 Helicopter, Red/Blue/Green/Orange Discounts Apply ! TRA6226 - Traxxas Rotor Blades for QR-1 Helicopter, Red/Blue/Green/Orange. 2 of each color, 8 total.